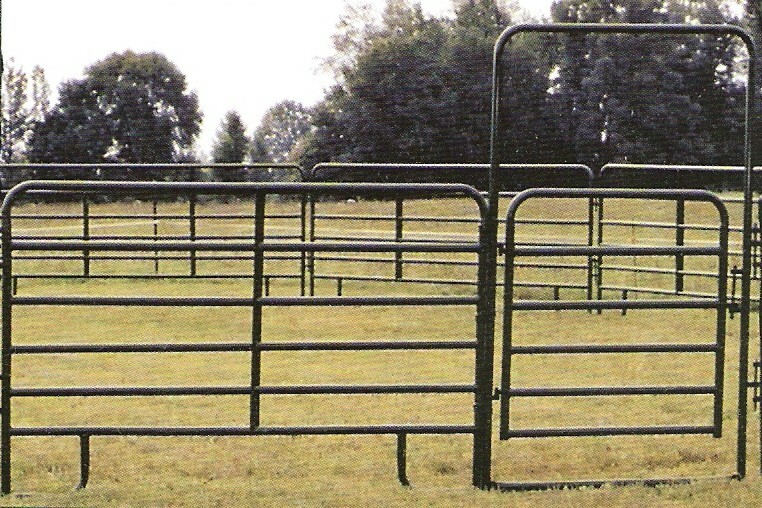 An Overall is a combination Walk-Thru with a Corral Panel. Heavy Duty Overall, 14ga. rail, with 20ga. filler, available in green, or red. Economy Overall, 19ga. rail, with 22ga. filler, available in green, red, or galvanized. available in green, or red. Shown is a 4' Walk-Thru, Corral Panel Combination. Overall Lengths are 10' to 16', in 2' segments. A 10' Overall (4x6) is a 4' Walk-Thru with a 6' Corral Panel. Horizontal bars are welded after being placed through Z brace. Provides easy access in corral. 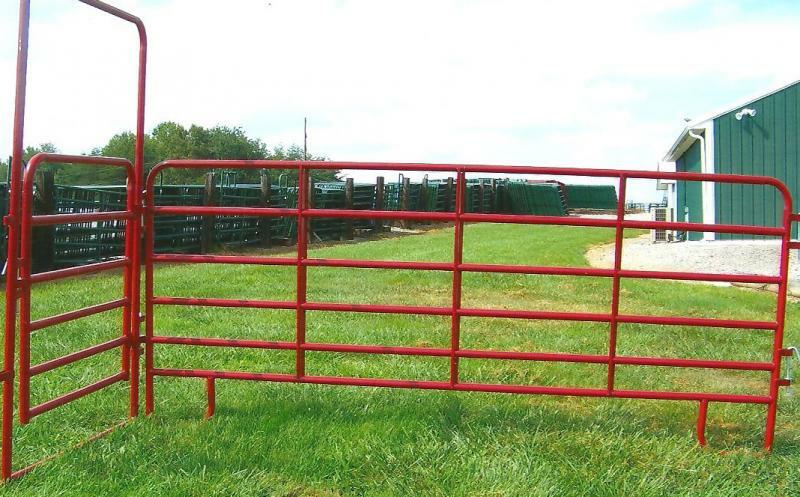 Easy installation into corrals. Copyright 2010 H & S Gate, Inc.. All rights reserved.